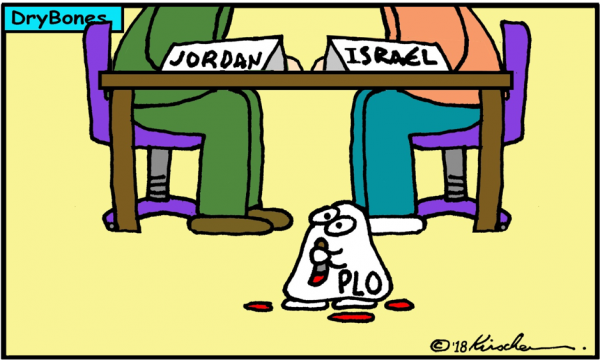 Jordan-Israel negotiations based on President Trump’s long-awaited peace plan seem increasingly likely to happen – following retired Jordanian Ambassador and former editor of the Jordan Times– Walid Sadi – flagging Jordan’s legal and sovereignty claims in the West Bank (Judea and Samaria) and East Jerusalem (“disputed territories”). 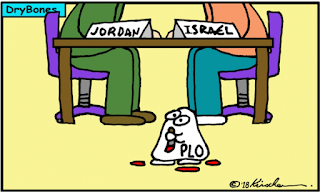 The PLO has made it clear that it wants no part in negotiating Trump’s proposals. It – and Hamas – will be left to cool their heels and contemplate the many squandered opportunities to create an additional state between Israel and Jordan since the Oslo Accords were signed in 1993.
about Democrats' ties to Farrakhan? 3 [a] “For behold, in those days and at that time, when I restore the fortunes of Judah and Jerusalem, 2 I will gather all the nations and bring them down to the Valley of Jehoshaphat. And I will enter into judgment with them there, on behalf of my people and my heritage Israel, because they have scattered them among the nations and have divided up my land, 3 and have cast lots for my people, and have traded a boy for a prostitute, and have sold a girl for wine and have drunk it. Mr Cohen and Ian, I no longer get automatically notified of comments on this blog's posts, so if I have been tardy in posting your comments (and I hope I haven't) this is the reason. Working on this annoying hitch!